Super drunk drivers were involved in 37 crashes in Washtenaw County in 2010, the latest year for which statistics are available, according to a statewide group that monitors traffic crashes. Editor's note: The story has been edited to remove a redundant word in the lead paragraph. Five of Washtenaw County’s drunken drivers in 2010 had blood alcohol levels at or approaching levels in which their bodies would experience a feeling similar to surgical anesthesia, according to researchers. All five of these so-called “super drunks” were behind the wheel when they were involved in crashes, according to Michigan Traffic Crash Facts, a statewide group that monitors traffic accidents. Fortunately, none of the Washtenaw County acccidents resulted in serious injuries, MTCF reported. MTCF reports show that three of the five drivers had a blood alcohol level of .34, one was at .32 and another registered .33. Researchers at California State University Bakersfield say that when a person’s blood alcohol level reaches .30, the human body is in a stupor and can pass out at any time. At .35, the feeling is similar to surgical anesthesia and a person could stop breathing. According to the MTCF reports, super drunk drivers were involved in 37 crashes in Washtenaw County in 2010, the latest year for which statistics are available. More recently, a Troy man was arrested March 4 in Ypsilanti after police said he was involved in a hit-and-run car crash. That motorist -- who police said also had a handgun in his car -- had a blood alcohol level between .24 and .26. Derek Pike, 24, is charged with operating a vehicle with a blood alcohol level above .17, carrying a concealed weapon, operating while intoxicated, possession of marijuana, failing to stop at an accident causing property damage and possessing a firearm while intoxicated. 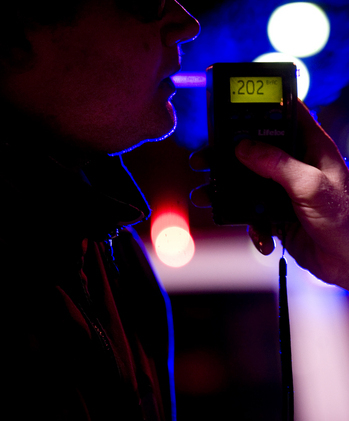 Under Michigan law, a driver may be charged with drunken driving if his or her blood alcohol level is at .08 or above. According to the state, a driver who is charged with operating under the influence with a blood alcohol level of .17 or higher can face up to 180 days in jail, a $700 fine and 360 hours of community service. 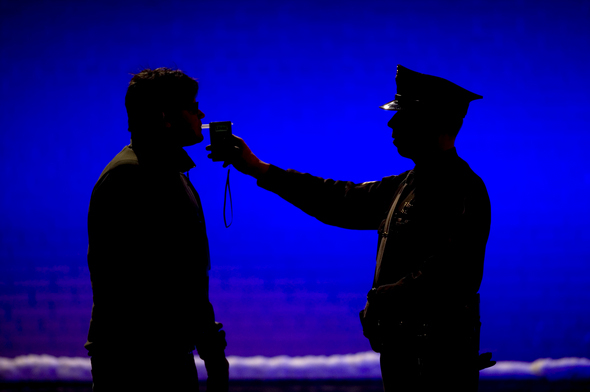 In addition, the arrestee’s driver’s license can be suspended for one year with the possibility of driving with an ignition interlock device after 45 days of suspension. By comparison, operating while intoxicated with a blood alcohol level between .08 and .16 can be punished by a maximum of 93 days in jail, a $500 fine and 360 hours of community service, according to the state. The arrestee’s driver’s license can be suspended for 30 days. Both charges can result in six points being added to the offender’s driving record and a driver’s responsibility fee of $1,000 for two years. In February, Gov. Rick Snyder signed legislation into law that allowed communities to enforce their own ordinances against “super drunk” drivers without having to charge under the state law. The new law gives local police more flexibility when seeking charges against offenders. Just how much does a person have to drink to reach a blood alcohol level of .35? According to the researchers at California State University Bakersfield, a woman weighing 160 pounds — the average weight for women, would have to drink 11 drinks in one hour to register a .35 blood alcohol level. A man weighing the average 195 pounds, again according to the CDC, would have to drink about 15 drinks in an hour to reach that level, a CSUB study states. • The first accident caused by a man with a .34 blood alcohol level occurred in Ypsilanti. According to the report on MTCF, the accident occurred at 4:10 p.m. March 24, 2010, in the 800 block of Prospect Street. Under Michigan law, motorist can be charged with drunken driving if he or she has a blood alcohol level of .08 or more. Anyone with a blood alcohol level of .17 or more can be charged under the super drunk law. A 52-year-old Belleville man was driving his silver 1999 Dodge northbound on Prospect when he crossed over the center line of the road and struck a white 2001 Honda Accord driven by a 21-year-old Ypsilanti man, the report stated. The head-on collision sent the Ypsilanti man and a 25-year-old Ann Arbor woman in the car to St. Joseph Mercy Hospital, where they were treated for injuries, according to the report. The drunk driver submitted to a breath test at the scene and blew at .341. Ypsilanti police officers arrested him for operating while intoxicated and took him to St. Joe’s as well, where he had an alchol blood test administered. • A little more than a month later, the second driver with a blood alcohol level of .34 caused an accident. At 1:40 a.m. April 27, 2010, a 21-year-old Ypsilanti woman was driving south on Palisades Boulevard toward Ellsworth Road, according to the MTFC report. As she neared the exit of the neighborhood, the woman rear-ended a parked red 2001 Ford Explorer that was facing southbound, the report stated. The woman told Pittsfield Township police a car had pulled in front of her on a side street to the west and she had swerved to miss it, according to the report. The woman stated she overcorrected and struck the Explorer, according to the report. The woman was cited for operating while intoxicated and was transported to St. Joe’s to be treated for her injuries, which were non-life threatening, according to the report. • The final accident caused by a driver with a blood alcohol level of .34 took place at 7:05 p.m. on Nov. 27, 2010 in Manchester, according to MTCF. A 43-year-old man turned his black Dodge Ram right off of East Main Street onto Riverbend Street, going too wide and crossing over the centerline on Riverbend, the report stated. He struck the side of a gray Jeep driven by a 49-year-old Manchester woman that was stopped at the intersection, according to the report. The man told police he was turning when the woman suddenly turned into his car, according to the report. The woman, who was not intoxicated, said she was stopped on the roadway at a stop sign when the man’s truck hit her, according to the report. Luckily, there were no injuries involved in this crash. The man was given a breath and field test at the scene of the accident and was cited for operating while intoxicated, the report stated. • A 44-year-old Ypsilanti man with a blood alcohol level of .33 pulling out of the parking lot of a liquor store caused the fourth accident on the list. Washtenaw County Sheriff’s Office deputies responded to Hewitt Road north of Congress Street for an accident. According to police, the 44-year-old man was driving a green Ford car out of a parking lot and did not yield to a silver 2008 Dodge Avenger that was traveling northbound causing a T-bone accident. The Target 2 Party Shop is located at the intersection of Congress Street and Hewitt Road and the report indicated the man was leaving that parking lot. According to the report, the man was taken to St. Joe’s after the accident. While there, he was given a blood test showing his blood alcohol level to be at .33, according to the report. The 32-year-old Ypsilanti woman driving the Avenger refused ambulance service, according to the report. • The final crash occurred when a 29-year-old Ypsilanti man with a blood alcohol level of .32 failed to stop for a red light, rear-ending one vehicle and sending one person to the hospital. The MTCF report states the Ypsilanti man was driving his white 2005 Chrysler Pacifica eastbound on Michigan Avenue when he came to a red light at the intersection with Ellsworth Road. The man failed to stop and struck a black 2000 Ford Ranger from behind, pushing that vehicle into a black 2010 Ford Fusion, according to the report. The 22-year-old Canton, Ohio man who was driving the Ford Ranger was transported to St. Joe’s with non-life threatening injuries, according to the report. The 27-year-old Ypsilanti man driving the Ford Fusion and the drunk 29-year-old Ypsilanti man refused medical treatment. The report did not state if the man was cited for operating while intoxicated. Sun, Mar 18, 2012 : 12:03 p.m. Sat, Mar 17, 2012 : 9:08 p.m.
Top five Super-Drunks?! What kind of headline is that? It sounds like Newsweek's top 5 colleges...We are talking about people's lives here. It is also written like the writer needs to go back to English Comp 101. I don't mean to pick on you guys. But....sensational headlines like these belong in the magazines at the check-out at the grocery store. Are these drunks still able to drive on the roads? or has their licenses permanently suspended? Thu, Mar 15, 2012 : 5:10 p.m.
Set a blood alcohol level scale. The higher the number the greater the penalty. Start with .08 with a severe fine, etc. and move up the scale until most severe, 6 months or more in jail, 3 years no license, $5000 fine, repeat offender get prison time, etc. They are a loaded gun ready to kill. Thu, Mar 15, 2012 : 5:05 p.m.
my bad i needed to push the right arrow button.duh. Thu, Mar 15, 2012 : 5:02 p.m.
i must be the most stupidest reader. (please dont delete me for name calling)cuz i cant figure out how to vote on comments. Really? You mean if you are more intoxicated you're more likely to get in an serious accident? Brilliant. Wouldn't it be better to write about how many accidents are caused by people who drink and are just under the legal limit? Thu, Mar 15, 2012 : 1:50 p.m.
Not sure if the good folks at Ann arbor.com know this, it may be news to them, but it is the 3rd month of 2012, not 2010. We've noticed:) This is the most recent full-year data that's available via Michigan Traffic Crash Facts, and - given the recent arrests here - we thought it would be interesting to give a data-based glimpse of what the &quot;super drunk&quot; level of drunken driving has meant in Washtenaw County. That didn't actually make it into the story, but that's the background. Also, thanks for suggesting the look at how they're sentenced. drunk or super drunk, doesn't mater. these people are criminals and need to be off the streets before they hurt someone. there is only one real kind of justice they should face. I just don't trust our courts to do it. Kyle - how about a follow up report of what type of sentence these drivers received? How much time they actually served and if any of them did it again? All the Washtenaw County records are available to the public at the Courthouse. Thu, Mar 15, 2012 : 12:23 p.m. The State should issue bright orange license plates to these offenders so that people can spot them while driving &amp; report them if need be. Laws should be much more strict the first time around &amp; maybe they'd learn their lesson. Thu, Mar 15, 2012 : 5:35 p.m.
How about they stiffen the law and stop letting these monsters out w a slap on the wrist. Thu, Mar 15, 2012 : 1:23 p.m.
My guess is they aren't allowed to drive period. Thu, Mar 15, 2012 : 1:08 p.m. This is actually a great idea. They issue big &quot;L&quot; plates in Europe to beginning drivers, why not orange plates for drunks? Dear Lord, who edits this mess?!? If &quot;most drunkest&quot; was the first choice, most &quot;super drunk&quot; is not any better. Terrible. Do any of you have an English or Journalism degree over there? Fri, Mar 16, 2012 : 5:30 a.m.
Clearly, a super drunk could also be classified as a alcoholic. Alcoholism in turn, is a disease in much the same way as badly written articles. So, let's get these folks the help they so desperately need. Fri, Mar 16, 2012 : 5:29 a.m.
you and i rea;lize that 'they' need &quot;the help they so desperately need&quot; but until THEY recongize it, very little will affect their activities. bill only helps thos who admit, internally, that they need his helkp. Thu, Mar 15, 2012 : 11:27 a.m.
Years ago I worked in the old Detroit General ER in the Greektown area. They had a list on the wall of the &quot;most drunkest&quot;. It was called the 600 Club. Blood alcohol levels had to be 0.6 (600) or higher. Levels of 0.5 or higher are often fatal. If I remember correctly the record was 0.8 in someone who lived. That's a testament to the amount of tolerance people can develop to alcohol. Unfortunately, they don't develop tolerance to the mental and physical impairment associated with such high levels. It bothers me the most when I read stories about drivers who have multiple convictions for drunk driving, have had their licenses revoked multiple times but are somehow still driving and cause accidents with serious or fatal injuries. Ordering them to attend alcohol rehab time after time is not enough. They belong in prison where they can no longer put other drivers and themselves at risk. Thu, Mar 15, 2012 : 11:01 a.m. These super drunk laws need even stiffer penalties... There is not any gray area when one has had that many drinks, the whole &quot;I didn't think I was THAT drunk&quot; or &quot;I was just buzzed&quot; doesn't apply when you're .2 or .35!! Thu, Mar 15, 2012 : 10:37 a.m.
&quot;Most drunkest&quot;? Perhaps the least well-editedest summary this year. Thu, Mar 15, 2012 : 3:47 p.m.
Dan you do know language is in a constant state of evolution. Lol.